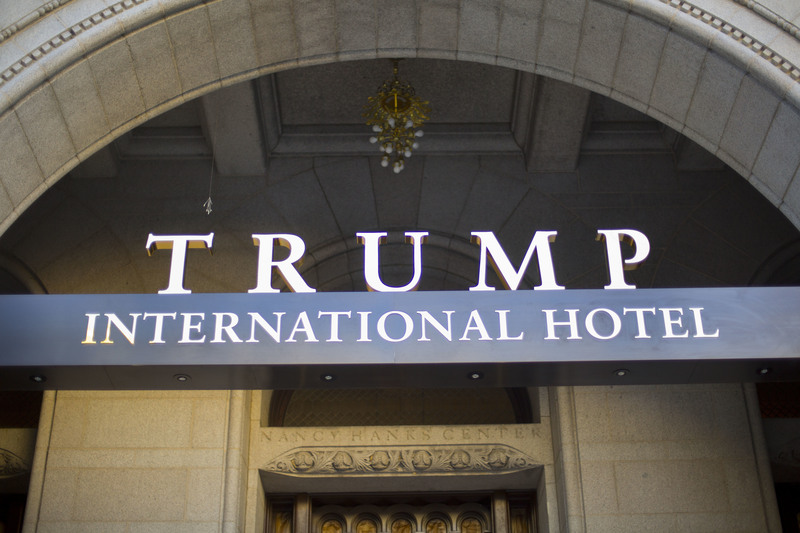 WASHINGTON (CN) – A federal judge in Washington on Monday tossed a lawsuit brought by an area restaurant and bar against President Donald Trump, claiming Trump’s luxury hotel got an unfair competitive boost from his presidency. Cork Wine Bar, a restaurant and bar in downtown Washington sued Trump and the business that operates the Trump International Hotel in D.C. Superior Court in March 2017. The restaurant claimed that ever since Trump’s election, Cork has been losing patrons who feel pressure to hold their fundraisers and other events at the president’s hotel. The suit was transferred to the U.S. District Court for the District of Columbia in April 2017 and Cork filed a new complaint this past February. In a 12-page order, U.S. District Judge Richard Leon dodged the constitutional justifications Trump’s attorneys raised in their motion to dismiss the case, instead finding Cork had not shown the benefits Trump’s hotel supposedly gained fall under Washington’s unfair competition law. While Cork might find the advantages “distasteful and unseemly, if not unethical,” the restaurant hadn’t shown Trump or his business did anything outside of the bounds of regular business practice to drive down Cork’s bottom line, Leon wrote. Leon also said he had to follow court precedent that denied an unfair competition claim brought by a tour company that competed with a rival owned by the wife of then-Senator William Proxmire. Bradley P. Moss, an attorney with the Law Offices of Mark S. Zaid who represents Cork, said in a statement Monday that Cork is considering its options following Leon’s decision, including the possibility of an appeal.